Life is not easy in ancient Philistia. When beautiful, wounded Delilah finds herself begging for food to survive, she resolves to find a way to defeat all the men who have abused her. It is the Hebrew hero Samson whom she seduces to become the means of her victory. 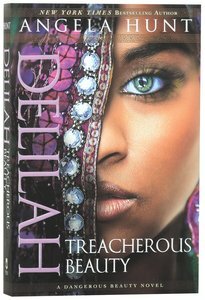 About "Delilah - Treacherous Beauty (#03 in A Dangerous Beauty Novel Series)"
When Israel's king, David, commits adultery and murder to possess the beautiful Bathsheba, she struggles to survive the dire results of God's judgement. Dark prophecy and a deadly curse afflict David's household, and Bathsheba must protect her son in a deadly environment.